The multi-holiday season is upon us; weather is unseasonably warm, and people are counting the days, if they’re not there already, until they get a little time off from work or school. 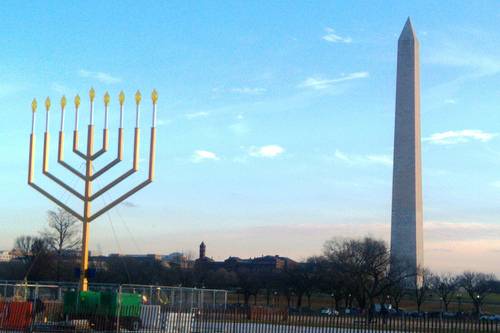 It’s time to fry those latkes and kindle the Chanukah lights! Local Jewish groups are rolling out the red carpet for this well-known Jewish holiday, which will take place this year from sundown Dec. 12 to sundown Dec. 20. Check these out! Feel free to add more in the comments, and chag sameach. Family friendly event, featuring a moon bounce, games, crafts, treats and more. This time-honored young adult party, still being sponsored by numerous local Jewish organizations, is moving to Decades and taking on a time travel theme! 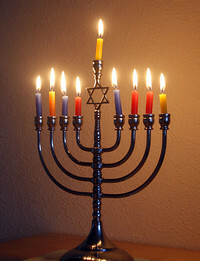 Family and all-abilities friendly event, featuring menorah lighting, dreidel spinning, latkes, donuts, games and more. Karaoke night for young professionals with Chanukah drinks, a craft-your-own latkes bar and more! 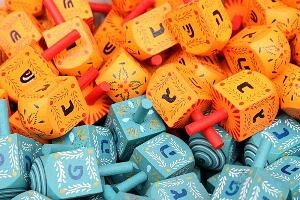 A chance to connect with similar families and explore Chanukah with personalized dreidels and more! Choral arrangements, including Judas Maccabeus by Handel and holiday music from all around the world. The choir is joined by the Symphony of the Potomac. DC High Holiday Tickets for 5777 and some closer events! High Holidays are late this year (October 2-4 for Rosh Hashanah and 11-12 for Yom Kippur) but it’s never too early to square things away with getting your tickets. J-Connect has in depth detail concerning fees, schedules and more for DC and area MD and VA synagogues. Gather The Jews focuses more specifically on young adults, and has links to services and other activities to help this cohort connect. But the Hebrew calendar this year leaves us with strange gaps in late summer and early fall! The newly minted Edlavitch Jewish Community Center won’t host its annual end-of-year book sale until September 14! 😦 But Zemer Chai has already opened its auditions for the next season! 😀 They’re particularly looking for male singers, fyi. And the Israeli-American Conference is coming to the Marriot Marquis in Washington September 24-26. Several famous guests, from politicians to journalists, activists and artists, have been confirmed to speak. You can register to attend by clicking here. The long, humid days of August will recede soon enough, and I’ll be back to highlight some local high holiday classes. Enjoy the rest of your summer!